BORONGAN CITY, October 17 (PIA) - - The Department of Energy (DOE) in partnership with the Philippine Information Agency (PIA) tapped the media to help convey the DOE messages to the community about discipline and lifestyle change through energy taglines: E-Power Mo; E-Safety Mo; E-Secure Mo, and E-Diskarte Mo. During the launching, the National Grid Corporation of the Philippines (NGCP) discussed on the Transmission Line Safety Tips and Energy Conservation. According to Bambie Capulong, Corporate and Communications and Public Affairs Lead Specialist of NGCP Visayas said NGCP is aware for the safety of our consumers. "I need your cooperation to maintain our source of power supply in your area," Capulong added. Danny Azura, Division Chief of the Institutional Services Department of Eastern Samar Electric Cooperative (ESAMELCO), urged the consumers to save energy specially with the increase of prices of basic commodities. "Even though there is no increase in the energy distribution charge of our electric bill, I encourage you to save electricity," Azura said. He emphasized how important it is to observe practical tips to lower our electric bill. He also talked about safety precautions when working using electricity. Meanwhile, Venus May Sarmiento, OIC-Regional Director of PIA-8 discussed the energy taglines: E-Power Mo; E-Safety Mo; E-Secure Mo, and E-Discarte Mo of DOE. 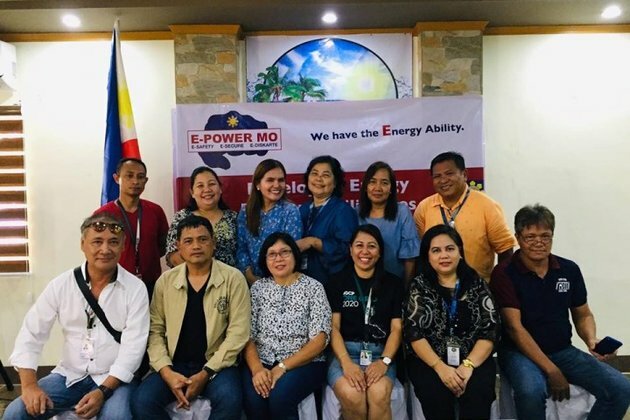 "E-Power Mo" - develop and utilize the energy resources available to Filipinos for wealth creation and global competition; "E-Safety Mo" - undertake safety and saving measures through energy efficiency; "E-Secure Mo" - secure the delivery of quality, reliable and affordable energy services, and "E-Diskarte Mo" - empower consumers through a wide range of options in utilizing conventional, renewable and alternative energy resources. The OIC Regional Director added that this campaign aims that our nation will be energy resilient. It also encourages ordinary Filipino people to use energy responsibly, to be partners in advancing the country's economic growth. The said launching was spearheaded by DOE in partnership with PIA, and attended by ESAMELCO, Borongan City Press Club, Bakdaw Sinirangan, and DYES, Radyo Pilipinas.